Dubai kick boxing classes are an amazing way to get fit and add some exercise to your lifestyle. Training outdoors as part of a group you’ll learn various aspects of kick boxing. 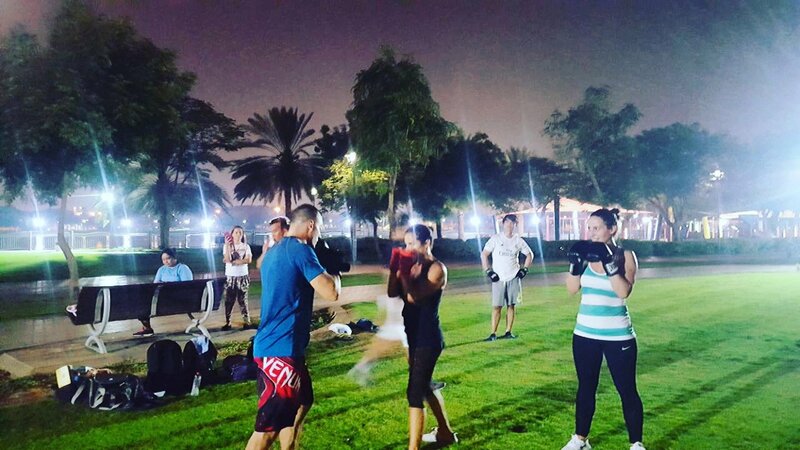 Kick Boxing classes in Dubai are a great way to get fit and have some fun with like-minded people. Whether you are looking at increasing your strength, increase your flexibility or get a great cardio workout a kick boxing class in Dubai is right for you. These outdoor kick boxing classes are organised by a professional kick boxing personal trainer so you can be sure you will get the best training. Kick boxing is a fun, fast paced form of exercise which can provide a great all over body workout. It uses techniques from western kick boxing and Muay Thai (Thai Boxing) combined with strength and body conditioning routines. No matter what your fitness level is, a kick boxing class in Dubai is a great choice to improve your overall health and fitness. Kick boxing is great to get amazing cardio, build strength and flexibility and learn new martial art techniques in a fun, friendly and professional environment in Dubai. If you would like to join this Kick Boxing training Class in Dubai or have any questions please use the contact form below. This kick boxing class is led by Dubai professional personal trainer Hussein. 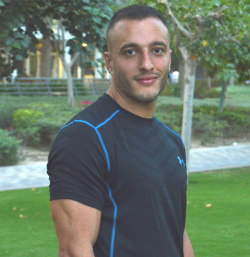 You can read more about Hussein’s health and fitness experience on his personal trainer profile page by clicking the link below.